How can you make your small kitchen more beautiful? Having a large kitchen is a dream for all of us, but many of us aren't able to have a large or spacious cooking area. This means that we have no choice but to make the best of what we've got. When it comes to the homify pages, we have seen many examples of kitchen designs. By studying them, we can learn some tricks of the trade and get inspired. We can also take advantage of the top tips from professionals from around the world. To create a kitchen that is both useful and beautiful, you need to work with the space available to you as well as allow your personal style to shine through. It's time to look for solutions that are innovative and creative, rather than worrying about the problems of a small space. 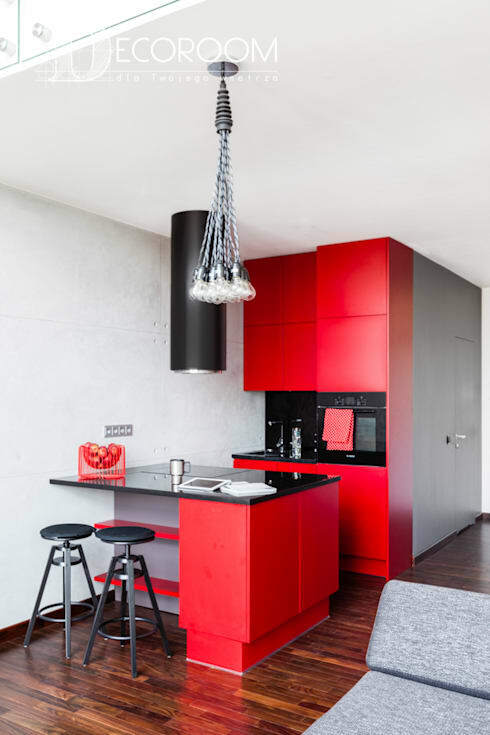 This is why today we have compiled a list of beautiful and eye-catching kitchen designs. These all feature different styles and colours and are guaranteed to change the way you view your small kitchen. 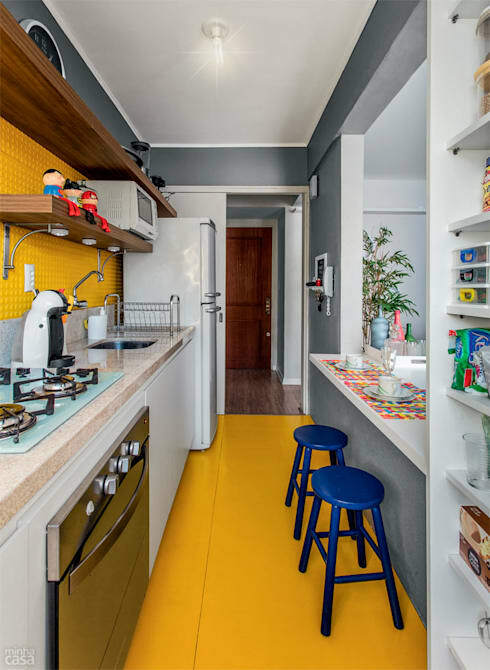 One of the best colours that you can choose in the kitchen is yellow. You don't have to go for pale tones or a champagne colour either. Opt for the most vivid yellow you can find! If your kitchen is deprived of natural light or faces north, then you can really afford to get creative with yellow tones. As we can see in this image, yellow can work wonderfully with white tones. Add some blue stools for a funky look and feel. This industrial style is one of the most popular decor styles at the moment, especially among young people. Stainless steel, raw wood and exposed brick are characteristic of this look and feel while a funky fridge adds to the balance between modern and rustic. This retro design is enhanced by the ceramic tiles on the wall. This is an excellent look and feel! This tiny little kitchen is very homely with a country-style look and feel. It's also a great example of how dynamite comes in small packages. 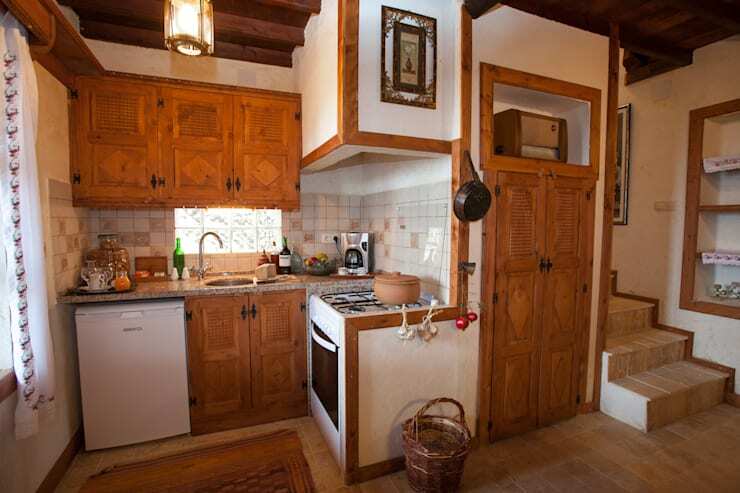 The rustic style of the home works in harmony with this little L-shaped wooden kitchen. By decorating your little kitchen so that it is consistent with your living room, you can create a wonderful relationship between these two separate spaces. This creates a feeling of spaciousness and a fluid connection between a trendy kitchen and a stylish living room. You may not need much space for cooking if you aren't a regular cook, but what if you are? 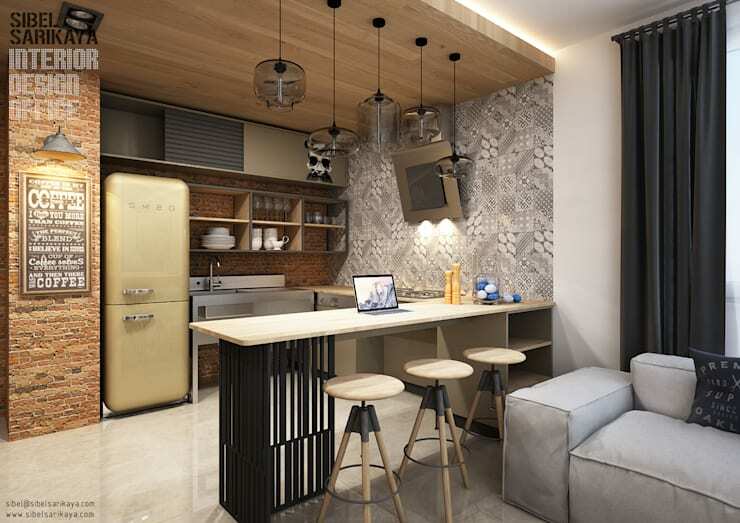 You could opt for a multi-functional and nifty kitchen like we see in this design. This all-inclusive kitchen features plenty of storage space with fold-out features. 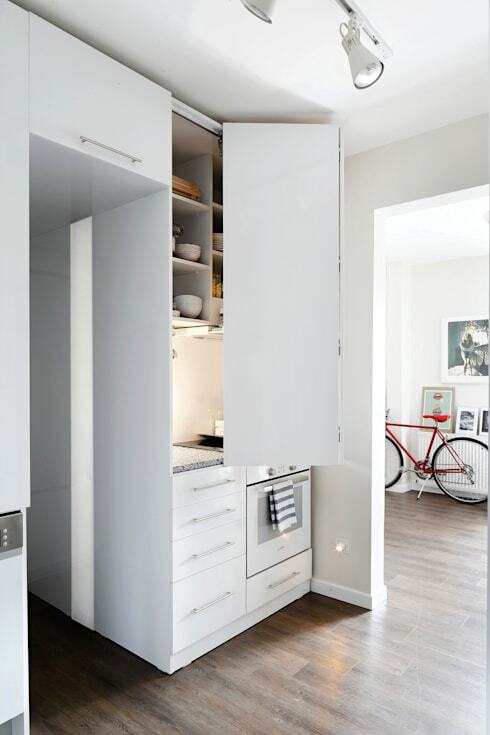 This 41 square metre apartment needed every square inch to be utilised. 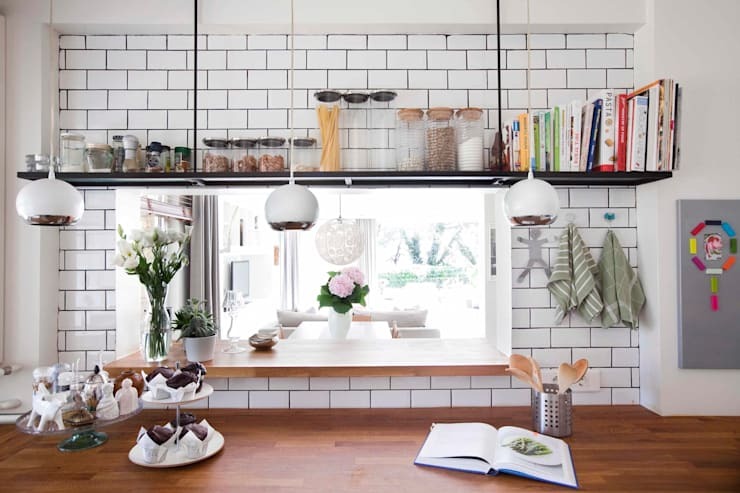 Also have a look at these 8 clever ways to improve storage in your kitchen for inspiration for your own small cooking area. Lastly we suggest that you remove the old, crumbling and ugly items from your cooking area and allow functional items to double up as decor items. As we can see in this image, stylish jars, regular kitchen cloths, beautiful cutlery and colourful crockery can make for beautiful and aesthetically appealing kitchen. If you've enjoyed this article, you'll love this one too: 6 Tips for Redecorating Your Kitchen.